We’re halfway through the year already! So, in that spirit I give you this month’s challenge. 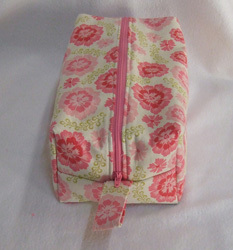 2) Send a sewing related surprise to a Sewing Mama. This could be fabric, an assortment of notions, a neat gadget, etc. You get the idea. 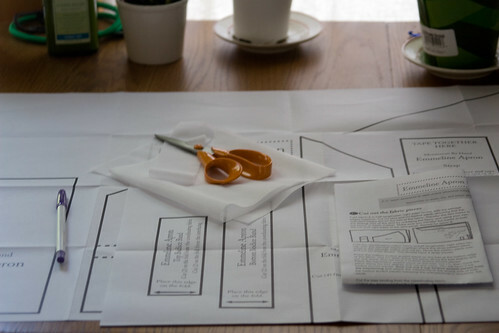 3) Create a tutorial for Sewing Mamas to share your knowledge. 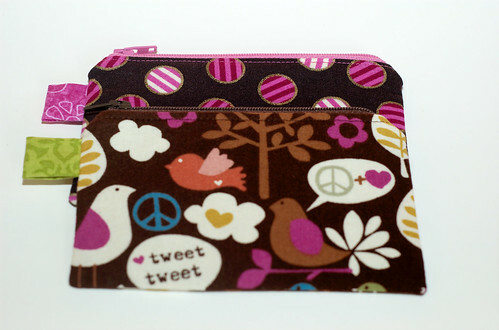 If you sew, you know something that’s worth sharing! 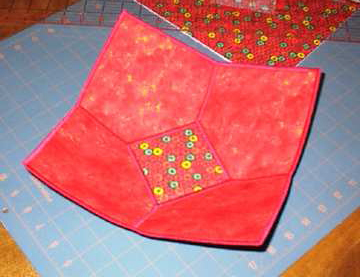 A new sewist needs to see even techniques you may consider basic. And if you’ve come up with a pattern of your own that you will share, that’s great, too. I got some really cute sewn cards this weekend. Aren’t they great? Kathleen made them, I forgot to include that when I originally published this post. Sorry! And I was thinking – how cute would a whole set of these be for the holidays? And if you don’t send out holiday cards, what about just winter themed cards to write little notes? I know I’m certainly never organized well enough to send out holiday cards. Having a bunch of cards ready for whatever would be great. A thank you to a teacher, a note to a friend, little things that perk up someone’s day. If you don’t have a use for cards, you could also decorate some blank 4×6 or 3×5 note cards to use as gift tags. Just when it looked like glimpses of Spring, we’re back in the 30s here in the Midwest. Looks like a warm up in the next few days, though. Hooray! Take a basic pattern and make a major modification to it. Add a hood to a shirt, turn a tank into a dress, change shorts to pants. And, the April Christmas Challenge! Hope Spring is finding your part of the world! How are you doing with these monthly challenges? This month we’ve got an easy one and more challenging one for you. March – Step Outside Your Box! Do something you’re not comfortable doing. Jeans with the zipper, hand embroider tea towels, mix 5 prints in one dress. If you think you’ve done it all, start a thread and ask for suggestions or crack open one of those books on your shelf. There is always something new to try! And, the March Christmas Challenge! Reusable Gift Bags ~ Make these as simple or complex as you like, what’s important is that they work for you! Also, remember to get your stash game points tallied and entered! The stash game ended at midnight your time on February 28th. It’s over, rover!